Those of you who have been following my work know that I have written the book Seed Libraries and Other Means of Keeping Seeds in the Hands of the People. We’ll call it Seed Libraries for short and you can expect it in the bookstores in early February. You can order it from New Society Publishers or buy a signed copy from me through my website when the time gets closer. In the past few years seed libraries have been popping up everywhere, evolving to fit their communities. It was this evolving that drove me crazy as I contacted all the places I mentioned in the book to make sure I had the most up-to-date information. As I polished the last details before sending the manuscript to the publisher, I got wind of a situation a new seed library in Pennsylvania was experiencing. The Pennsylvania Department of Agriculture (PA DOA) approached the Simpson Public Library to tell them that their new seed sharing program was not in compliance with the state’s seed laws. That was quite a surprise, since they were operating the way most seed libraries do and there were already established seed libraries in Pennsylvania that had no problems. You have to be careful where you get your news from. There have been news reports about this that have headlines that are misleading and inflammatory. For the full story go to the Simpson Seed Library’s website. As far as I know, this is an isolated case. The seed laws that are being enforced are there to protect our population and govern seed sales. However, the wording has been interpreted by the PA DOA officials in that community to include any distribution of seeds. In order to comply with their requirements the seed library would have had to do extensive testing of donated seeds following the Association of Official Seed Analysts (AOSA) Rules for testing seed. 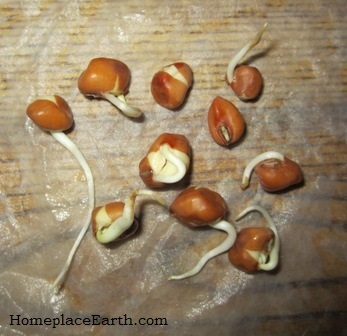 Seed libraries find out sooner or later that they need to test some of their seeds for germination, but not like this. The AOSA rules are meant for seed companies and are beyond what is necessary for a seed library. The Simpson Seed Library chose not to challenge this finding legally. It will continue to operate, but rather than have seeds that patrons bring in, they will only stock seeds that have been commercially packaged for the current year and encourage patrons to take the seeds, grow them out, and exchange them among themselves at the seed swaps that the library will host. The same seeds will be changing hands within the walls of the library that would have been made available through the seed library. I guess how that is different would be a matter of interpretation. I imagine that if this happens in other localities, eventually it will be challenged in court. But, so far, it is not happening elsewhere. 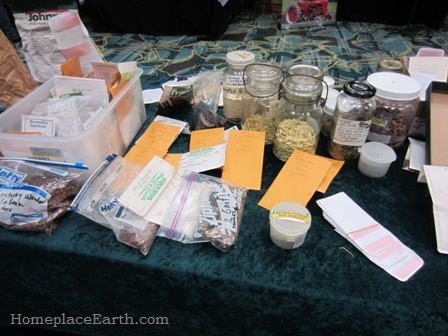 People are free to share their seeds through seed libraries all over the country. 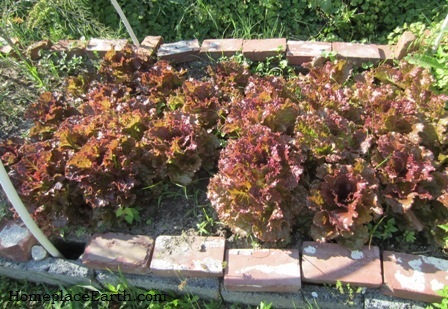 Red Sails lettuce on June 7. Seed libraries are not seed companies, which the seed laws are called to regulate. 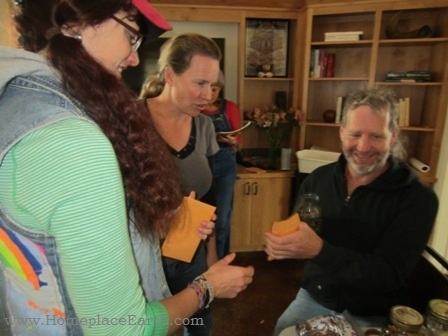 Patrons of seed libraries participate in these seed sharing opportunities for many reasons including; preserving varieties that grow best in their area, preserving genetic diversity, preserving flavor and nutrition, and preserving cultural heritage. They know that the seeds at the seed library don’t necessarily meet the legal germination rate, although often they could well exceed it. The amount of seed exchanged is so small that if there were any unwanted seeds present, such as noxious weeds, those seeds could be easily identified and expelled from the batch. 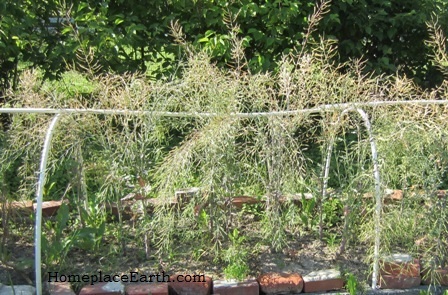 The chance that seed is not true-to-type is greater if acquired from amateur seed savers than if bought from a reputable seed company. That’s the chance you take when you get free seeds from a seed library. Our seed laws help protect us from seeds with low germination, noxious weeds, and seeds that are not as advertised, that we buy from seed companies. 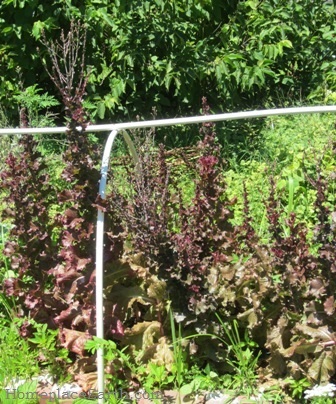 The same patch of lettuce growing to seed on July 5. 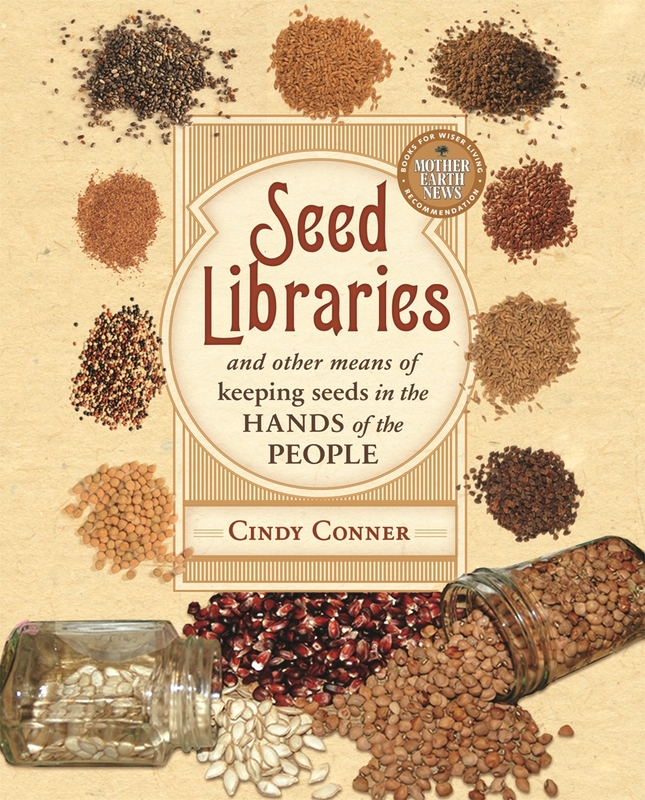 Seeds are an adventure and that’s what seed library patrons are looking for. They want to try their hand at seed saving and possibly seed breeding; preserving heritage varieties and developing new ones for their communities. In that case, plants not true-to-type might lead the way to new varieties. That’s the way it was done down through the ages before seed companies came into being. 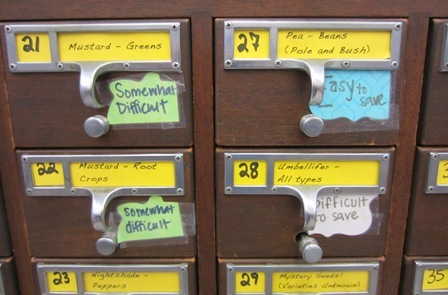 Patrons of seed libraries want to explore everything about the plants they are growing. You really get to know a plant if you watch it all the way to seed. 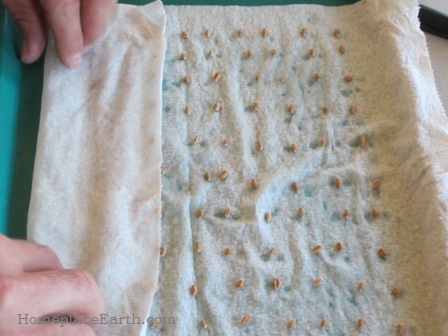 Seed saving is a skill that will need to be developed and public libraries are one of the best places to go for help. Whether a public library offers seeds or not, it can still offer lots of resources to help patrons. The most obvious are through books and computer access. However, libraries have programs and meeting spaces that bring people together and, in my mind, that is just as important. 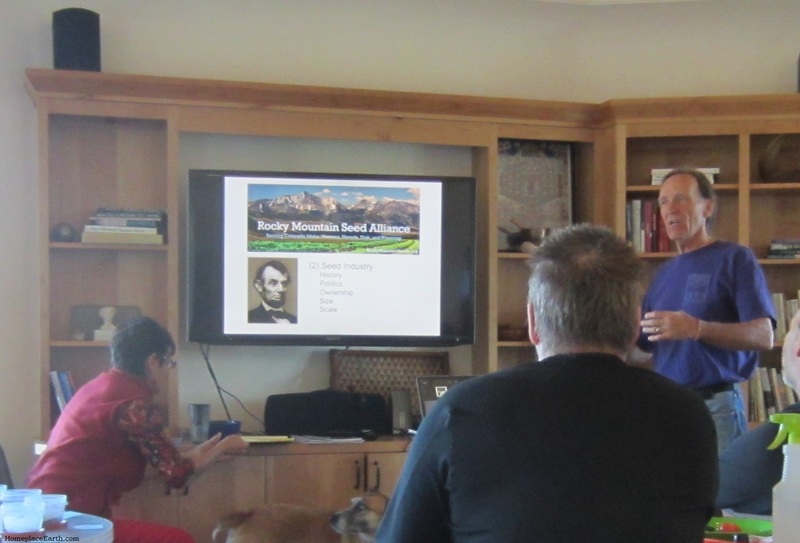 There can be programs about the specifics of seed saving, about meeting seed savers and hearing their stories, and about indigenous food and why it is special to the area. 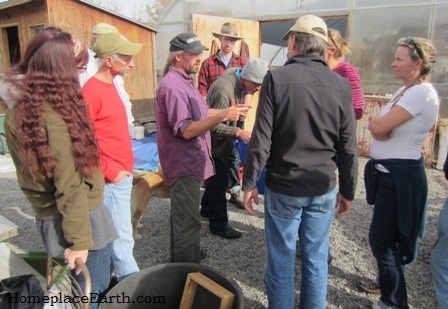 Seed libraries could loan seed screens to their patrons or have community seed threshing gatherings where the education shared is as important as the seed harvest. 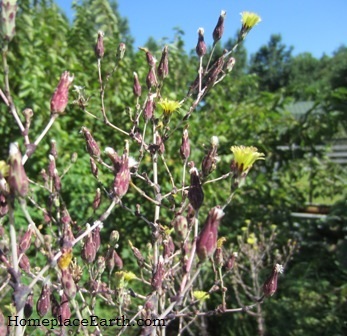 Red Sails lettuce flowers and seed pods on July 28. The seeds are in the pods under the white puffs. Book discussions, which are already common at public libraries, could include titles about the food system and related topics. 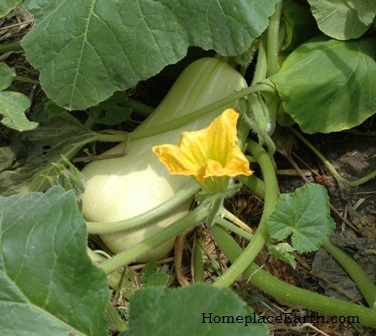 Gardens, no matter how small, could be planted with a seed harvest in mind and have signs documenting what is happening. Patrons could celebrate seeds with music, art, and photography. Libraries could have exhibits with photographs of plants going to seed so the patrons, and the public, can learn what to look for. Some people may think plants are abandoned and messy, but with a little awareness, will see the beauty of watching and waiting for the seeds to be ready to harvest. 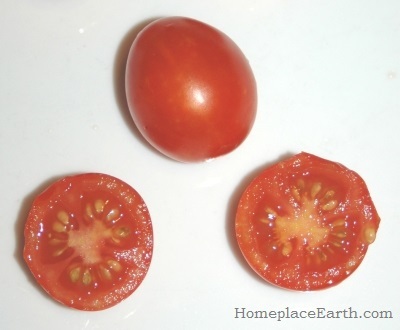 Most people would recognize lettuce in a garden, but would they recognize it grown to seed and know when the right time to harvest it would be? The Simpson Seed Library will only have commercially packaged seeds in their cabinet. 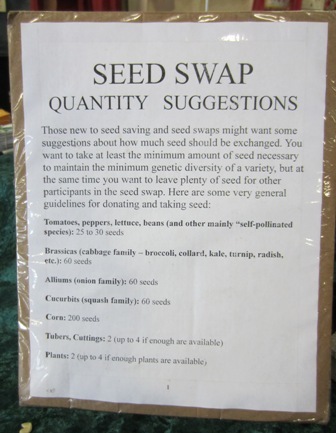 Since these seed varieties will funnel into the seed swaps they are planning, the staff will need to monitor what packets are donated—an opportunity to educate patrons about open pollinated vs. hybrid seeds and seed companies who have signed the Safe Seed Pledge to not knowingly carry any GMO seeds. A list of approved seed companies might be in order to keep the donation basket from filling up with hybrid seeds from the racks of the big box store down the street. Even if a public library always has seeds available in a cabinet for their patrons, it can (and should) host a seed swap annually or seasonally to celebrate seeds. Regular public library patrons who have no interest in seeds will come to realize that they are important, just by observing the attention paid to them. I hope you will consider being part of this adventure in your community.